It’s been a while since Mahindra has produced a mega hit, a hit like say the XUV500 or the facelifted Scorpio. The automaker knows this and is developing an all-new vehicle, one that could replicate the XUV’s success in its segment. And guess what, real world testing of the vehicle has already commenced. So, what’s Mahindra’s next BIG thing? Mahindra is building a premium people mover. The reason is simple. The Innova Crysta is selling more than even best selling compact SUVs, indicating that there’s still a huge market for MPVs. In fact, Mahindra is readying up a range of all-new people movers that will sit at different price segments. The render you see above is what the new MPV could look like. With test mules of the new vehicle already on roads, a 2017 launch timeframe is likely. The MPV is expected to pack in 7/8 seats and from the looks of the render, will be sleeker than the odd-ball Xylo. Styling is an important factor that decides whether the MPV appeals to both passenger and cab segments, or if it gets pigeonholed as a cab-only vehicle. Appealing to both segments is crucial, especially for long term sales and brand value. What will it pack in? 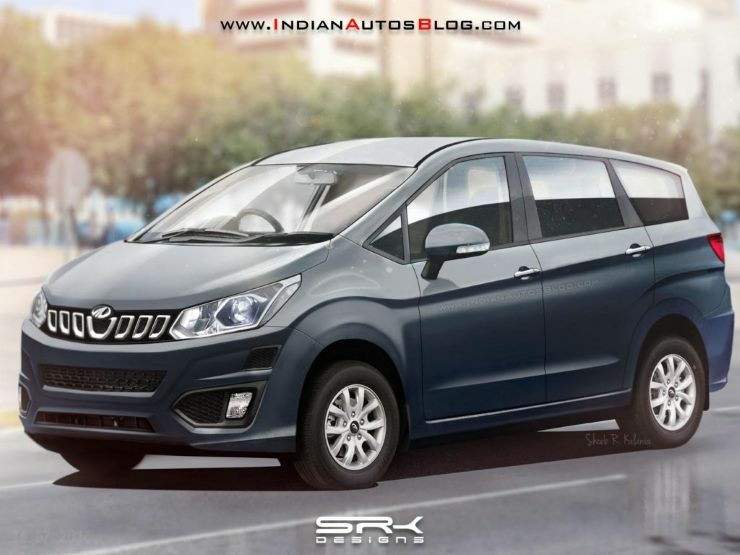 The premium MPV from Mahindra is expected to share its monocoque platform with the Mahindra XUV500, which also means that a front wheel drive layout is likely. A team of engineers at Mahindra’s recently established North America Technical Center – Detroit, are said to be working on the all-new people mover. Like the XUV, the new MPV expected to be global model that will be sold in markets across the world. A suitable level of finesse is expected considering this positioning. While pricing remains unknown, expect the new vehicle to significantly undercut the Innova.